A rediscovered painting celebrates Charles Darwin’s view of life. 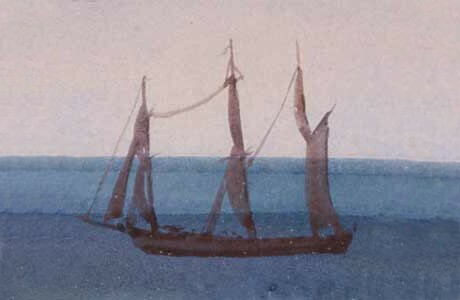 Detail of the ship in Earnest Griset´s watercolor shows a striking resemblance to HMS Beagle. The naturalist will feel this astonishment more deeply after having examined the soft and almost gelatinous bodies of these apparently insignificant creatures, and when he knows that the solid reef increases only on the outer edge, which day and night is lashed by the breakers of an ocean never at rest. He was further amazed to find that delicate, branching species thrived only in the calm, clear waters of the lagoon, while much hardier, boulder-like brain corals (genus Porites) inhabited the edges, where they withstood the violent poundings of the crashing waves. [T]here is to my mind a considerable degree of grandeur in the view of the outer shores of these Lagoon Islands. There is a simplicity in the barrier-like beach, the margin of green bushes & tall Cocoa nuts, the solid flat of Coral rock, strewed with occasional great fragments, & the line of furious breakers all rounding away towards either hand. We feel surprise when travelers tell us of the vast dimensions of the Pyramids and other great ruins, but how utterly insignificant are the greatest of these, when compared to these mountains of stone accumulated by the agency of various minute and tender animals! This is a wonder which does not at first strike the eye of the body, but, after reflection, the eye of reason. 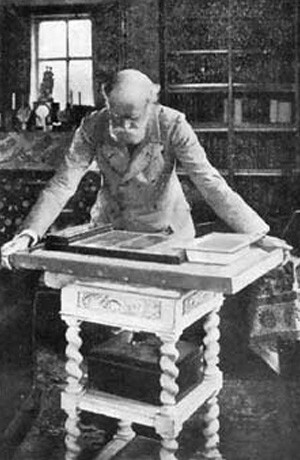 John Lubbock, Darwin’s only student, examines a captive colony of ants in 1900. Throughout the nineteenth century—and after Darwin’s death in 1882—Darwin’s theory of reef formation remained contentious. Alexander Agassiz, son of the anti-evolutionist Harvard zoologist Louis Agassiz, spent forty years and his considerable fortune visiting hundreds of the world’s reefs, but died before he could write a contradictory theory. For some decades, around the turn of the century, Darwin’s coral reef theory, like his evolution theory, fell out of favor with scientists, but eventually both returned with renewed vigor. 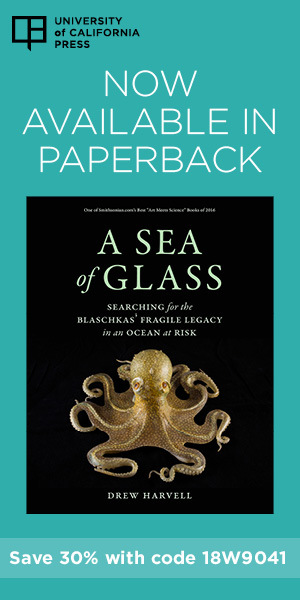 The saga of the controversies that surged around the coral theory has been beautifully told in Reef Madness: Charles Darwin, Alexander Agassiz, and the Meaning of Coral (Pantheon, 2005) by David Dobbs. Agassiz and others thought they had found reefs forming in areas where the seafloor was lifting rather than sinking. Some geologists even blasted Darwin’s method of doing science: rather than seeking patterns of coral reef distribution on charts and maps, they argued, he needed to visit more reefs firsthand, as they had done. However, Darwin thought that more visits to reefs were pointless unless “some doubly rich millionaire” could be induced to make deep core drillings that would reveal their structure. Dating of the tiny fossils in the bottommost layer of coral showed that the reef had gotten its start in the Eocene. For more than thirty million years this reef had been growing—an inch every millennium—on a sinking volcano, thickening as the lava beneath it subsided. 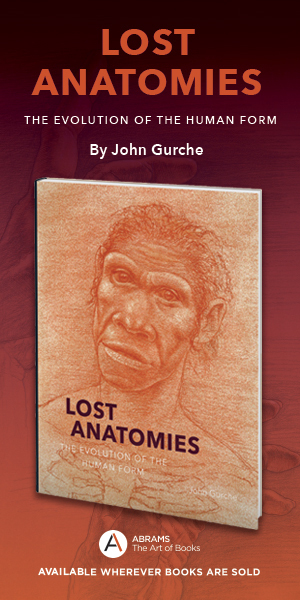 And it was as correct biologically as it was geologically. We know now that reef-building corals thrive only where their symbiotic, photosynthetic algae can receive sufficient sunlight to generate nutrients for the polyps (a depth of about eighty feet seems to be optimal). While the ocean floor beneath them keeps sinking, colonies keep reaching upwards to receive sunlight. As they do so, they secrete calcium carbonate, adding their minute contribution on top of the accumulated skeletons of millions of years.